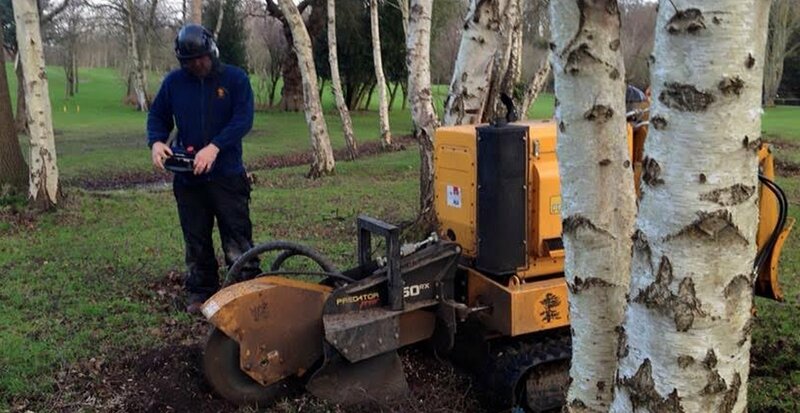 Our expert staff are trained to operate the latest in modern landscaping machinery, Here utilising the a remote control stump grinder our team member remains at a safe distance whilst completing a difficult task. 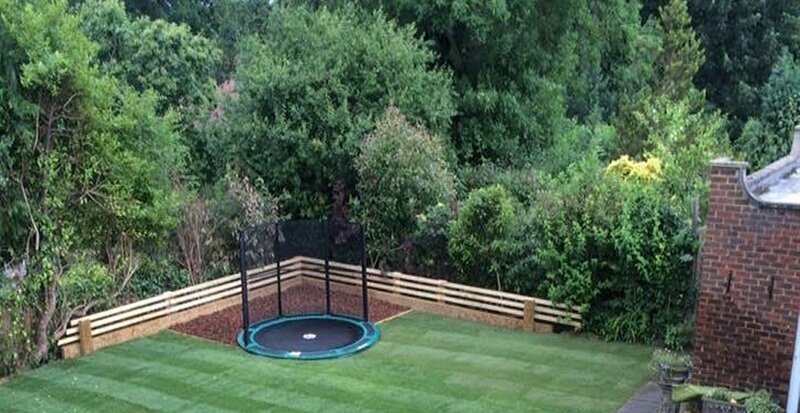 We pride ourselves on being able to complete the biggest and most complex of jobs at an affordable rate, This install of a new lawn with sunken trampoline is a prime example of our work. 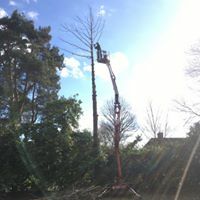 Our tree surgeons, combined with our modern machinery such as aerial platforms and remote controlled stump grinders, can take on any tree work - large or small! The lawn is the heart of your garden. 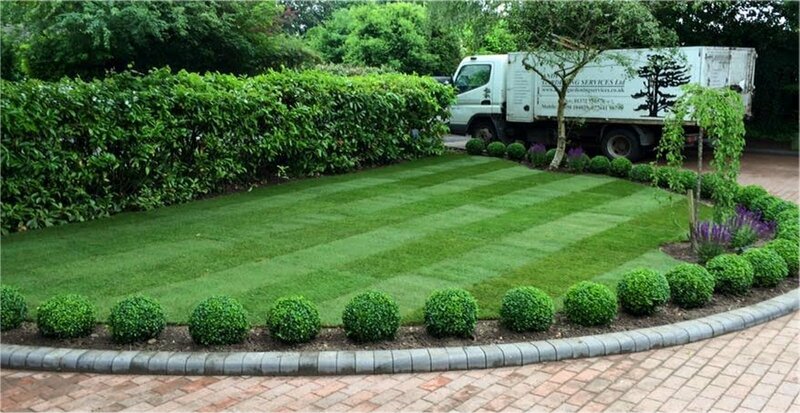 Whether you require a weekly mow, re-vitalising or a new turf install, our qualified professionals will be there for your lawn. We have access to a number of materials to make your landscaping ideas into reality. Andy’s Gardening Services is a small, family-owned business that has been serving the Surrey area for more than twenty years. We are friendly, approachable and have seven full-time staff who work directly for our company. All our staff are conscientious and attentive when we undertake work on your behalf. 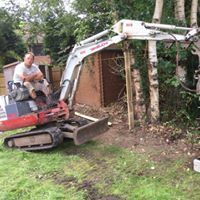 We can carry out all types of treework, small, domestic and large. We have two fully qualified NPTC tree surgeons. We own our own access platform with all relevant certicfication. We can grind out any size stumps, also access to any size gardens with our varied sized grinders. 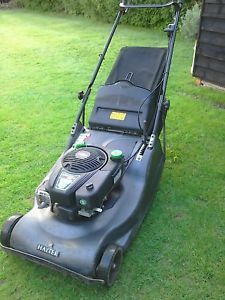 We can carry out any type of garden/grounds maintenance, from tidy ups to hedge trimming to regular fortnightly maintenance. We can also carry out large grounds maintenance contracts to include schools and colleges. All of our staff are DBS checked and we are Safe Contractor registered. We can carry out all types of landscaping projects from fencing, turfing, patios to driveways. We can supply and plant a range of shrubs and trees to your specifications. We have our own excavators for carrying out all types of ground works and demolition. We can supply you with seasoned logs either mixed or hard wood, our own screened top soil and fresh or old wood chip. All can be supplied in bulk bags or by the van load.